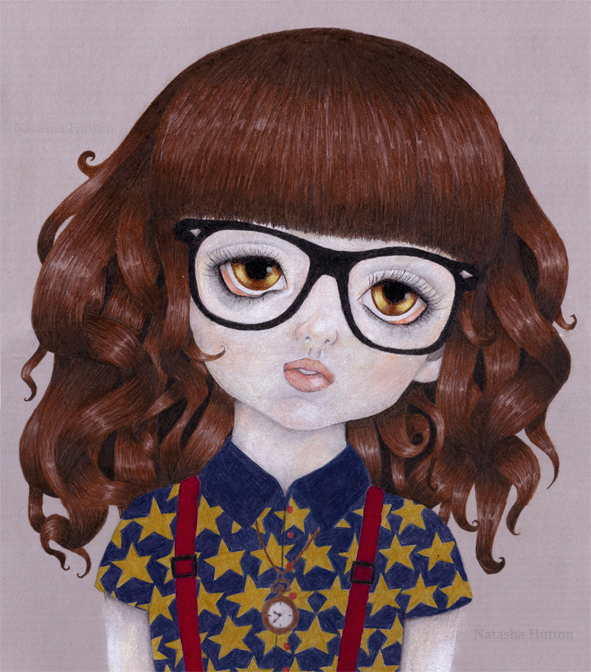 So this is the Hipster Girl image that I have finally finished. I think it's turned out to be one of my better pieces, and my most 'trendy one'. I'll be turning this into a tshirt design for Threadless, so watch this space. Natasha is an Illustrator based in Frome, England. After graduating from an Illustration degree at the University of Plymouth she found a job to pay the bills and in her spare time continues to illustrate. Her work is made with a mixture of pencils, gouache and pastels to create imagery that is rich in colour and texture. Detailing is also a passion of hers and you will often find in her work areas of dense patterns and symbolism. I'm still alive... some more work in progress!